One of the world's most popular island playgrounds, Honolulu is both a relaxed resort center and a dynamic cosmopolitan city. 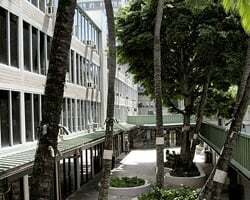 At *Kuhio Banyan Club*, you're surrounded by Honolulu's biggest and best attractions. 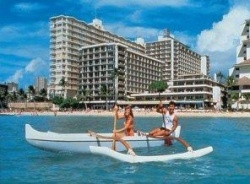 World-famous Waikiki Beach is just blocks away. Right across the street is the International Market Place. 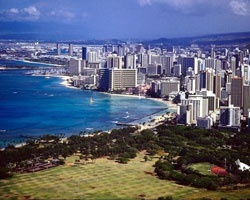 The acclaimed Ala Wai Golf Course is close by, and Ala Wai Yacht Harbor is also within minutes. Be sure to visit Diamond Head State Monument and take the half-mile hike to the rim of the extinct crater for a spectacular view of Honolulu! See ad 100221445 for an identical ownership! Buy both & enjoy this fantastic resort twice as often! Buyer may receive a title fee credit! See ad 100221444 for an identical ownership! Buy both & enjoy this fantastic resort twice as often! Buyer may receive a title fee credit! Very motivated seller. Explore Hawaii during any week you choose! Buyer May Receive A Title Fee Credit, Inquire For Details! Escape to Honolulu! Located in the center of Waikiki! Enjoy 2 floating weeks per year! Inquire for details! Own a slice of exciting Honolulu! Yearly usage in a floating week! Steal it at this low, low price! Explore the surroundings of Honolulu! Honolulu paradise near area attractions! Yearly usage in a floating week! Reasonable offers considered! Annual floating week in Hawaii! Close to the world famous Waikiki Beach! Buyer May Receive A Title Fee Credit, Inquire For Details! Annual week 29! Activities and entertainment for all ages to enjoy! Buyer May Receive A Title Fee Credit, Inquire For Details! Choose your dates each year in Hawaii! 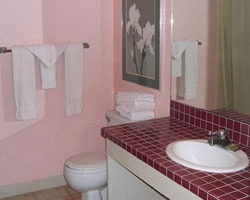 Small suite great for couples or smaller family! Buyer May Receive A Title Fee Credit, Inquire For Details! Last Offer of $1000. Lovely resort near the Honolulu fun! RTU in perpetuity! Buyer may receive a title fee credit; inquire for details! Weeks 3 & 4 on the same deed! 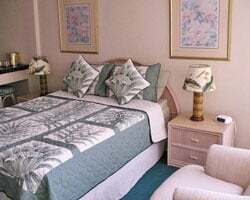 Resort is near the beach & major attractions! Buyer May Receive A Title Fee Credit, Inquire For Details! Ideally location just a couple blocks from the beach! Buyer May Receive A Title Fee Credit, Inquire For Details! Escape to Hawaii every year and leave all your stresses behind! Buyer May Receive A Title Fee Credit, Inquire For Details! Explore Hawaii during week 24 each year! Owner also has AD # 1790468! Buyer May Receive A Title Fee Credit, Inquire For Details! 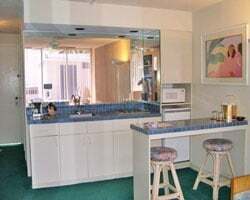 Close to the most popular attractions and just blocks from world famous Waikiki beach! Buyer May Receive A Title Fee Credit, Inquire For Details! Annual getaways to this sunny Hawaiian retreat! Relax in paradise! Owner also has AD# 1994531! Buyer May Receive A Title Fee Credit, Inquire For Details! Leave all your stresses behind! Owner also has AD# 2021145! Buyer May Receive A Title Fee Credit, Inquire For Details! Escape to Honolulu! Located in the center of Waikiki. Negotiable. Beautiful resort in the midst of the Honolulu fun! Yearly usage in desirable July week in Red season! Owner needs to sell asap! Negotiable! Floating week with ocean view! Price includes one banked week! Maintenance fees are paid to date, and price is negotiable. 2 weeks back to back in the same unit! Red weeks 23 and 24! Explore Hawaii during any week throughout the year! Buyer May Receive A Title Fee Credit, Inquire For Details!